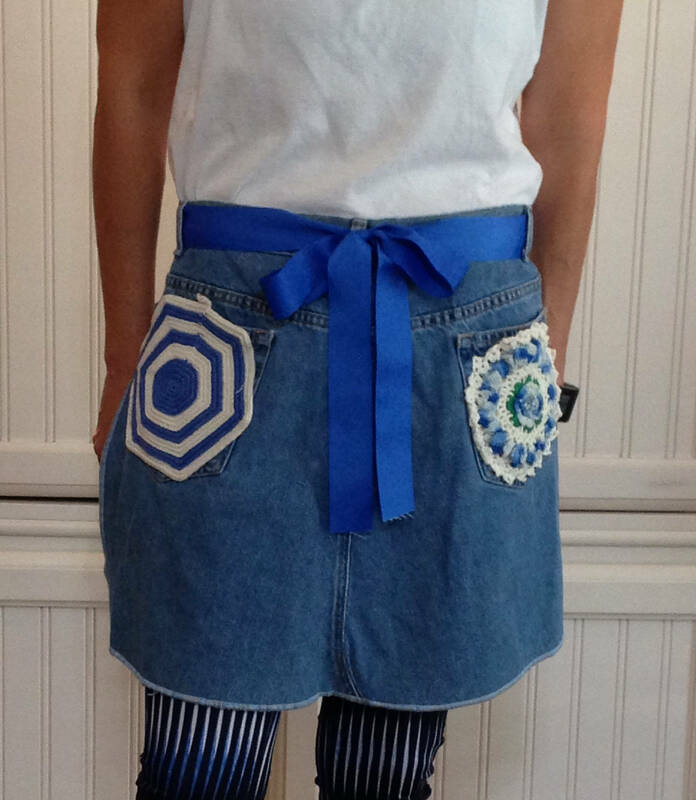 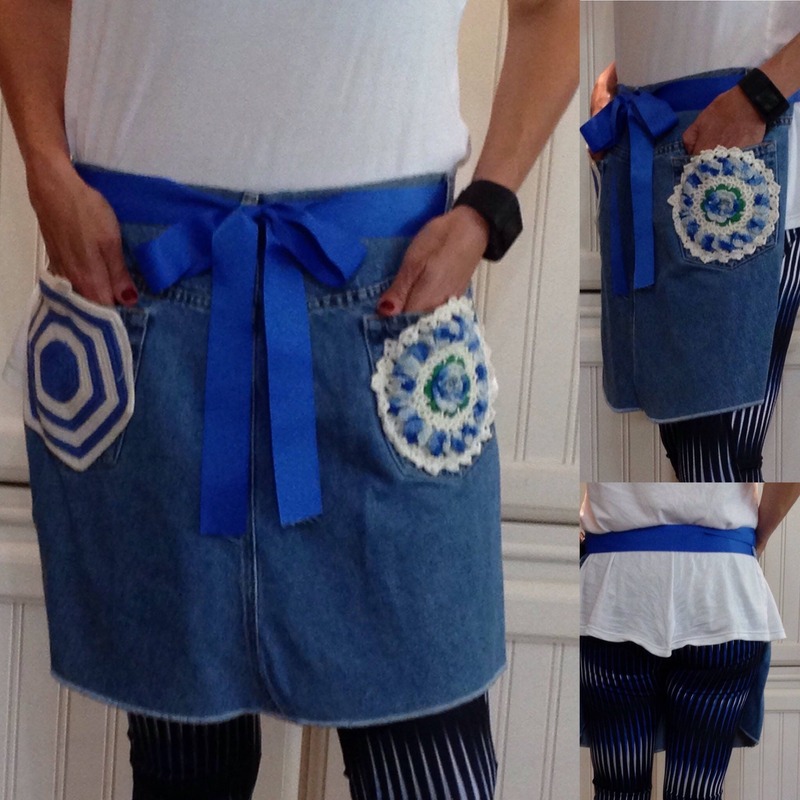 This beautiful denim apron is made from repurposed women's blue jeans. 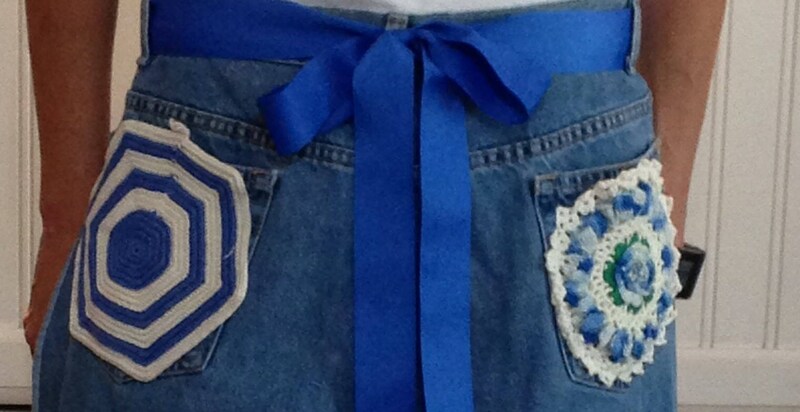 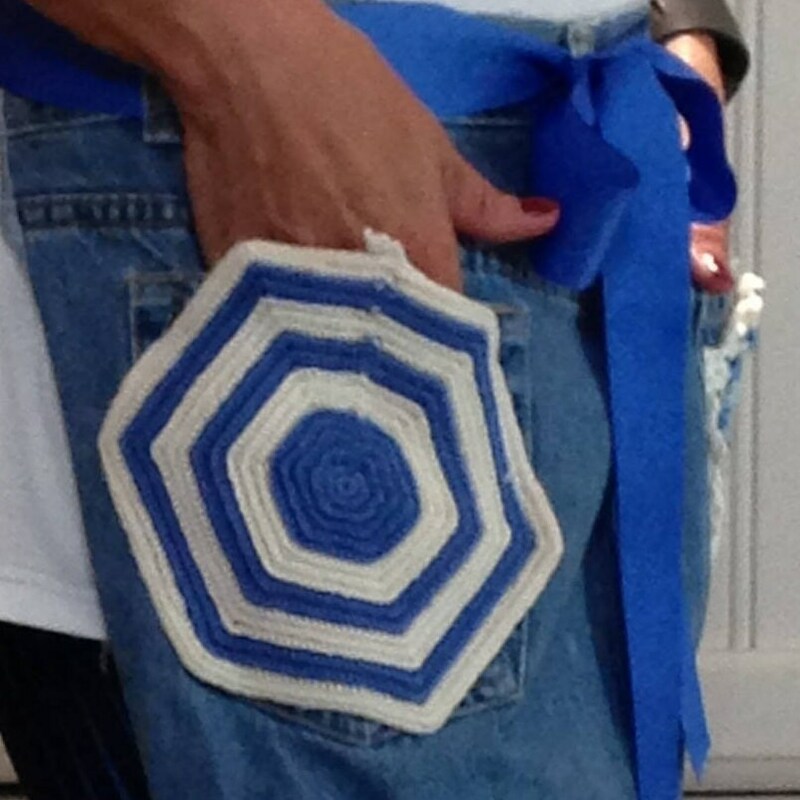 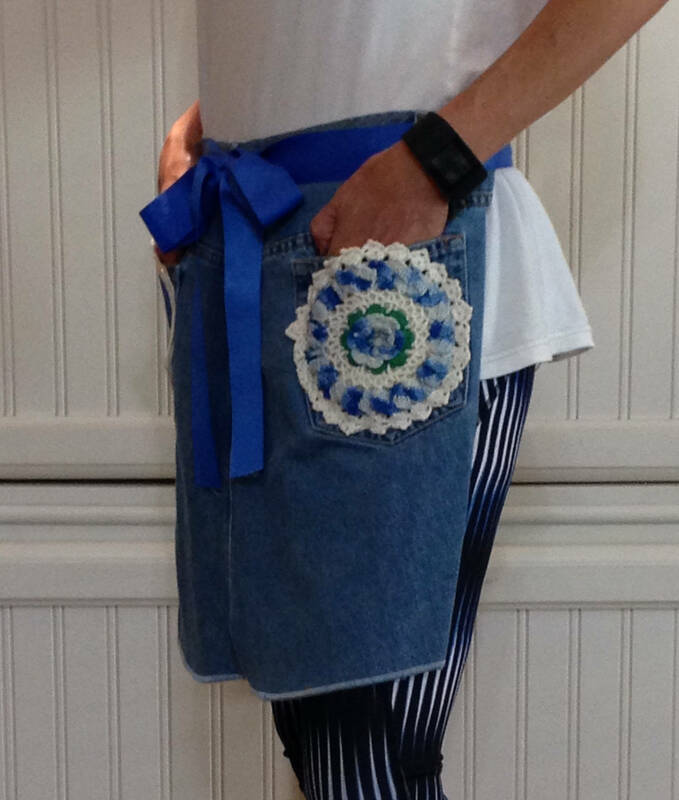 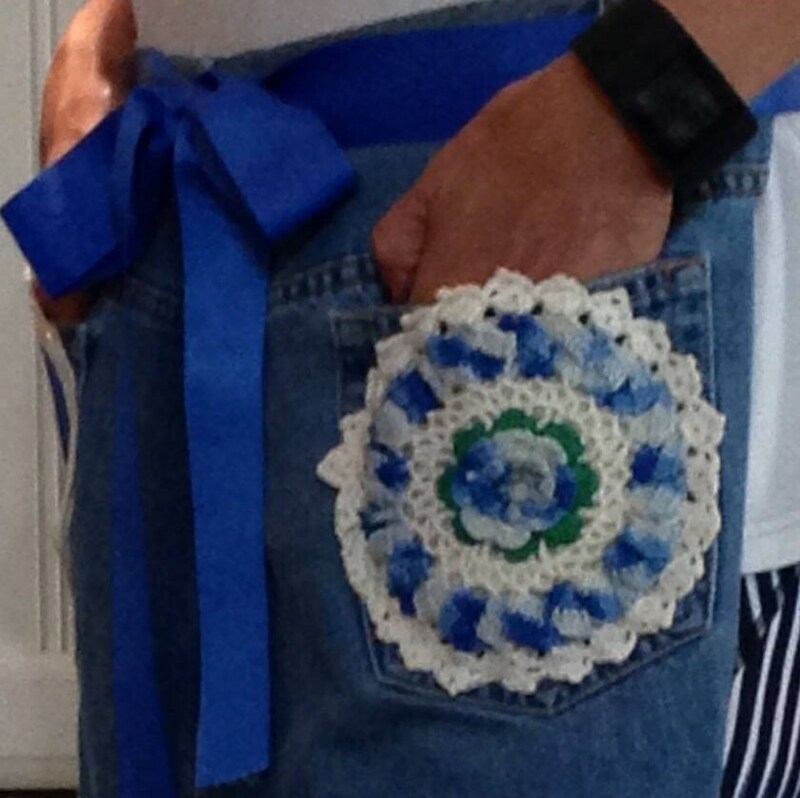 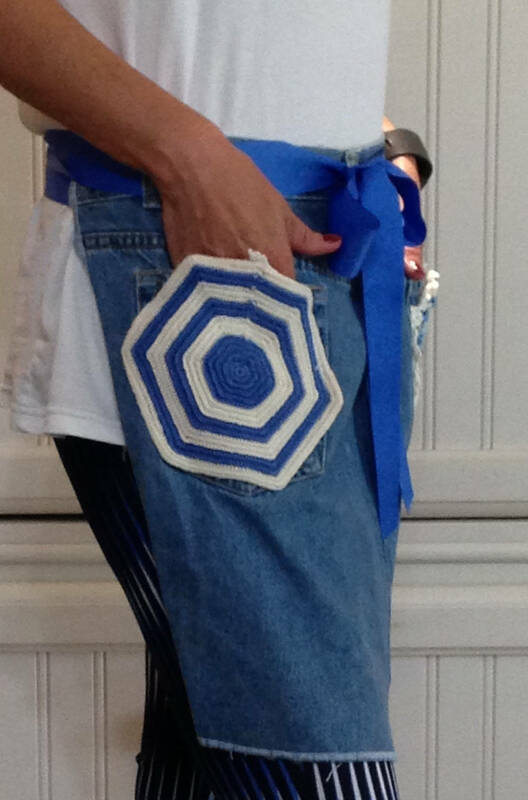 The pockets are enhanced with blue and white repurposed vintage crochet doilies. 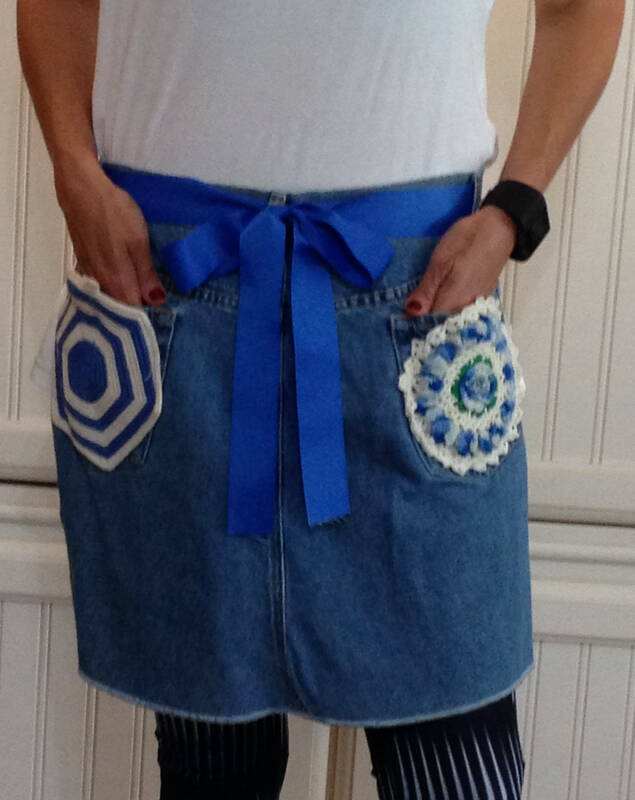 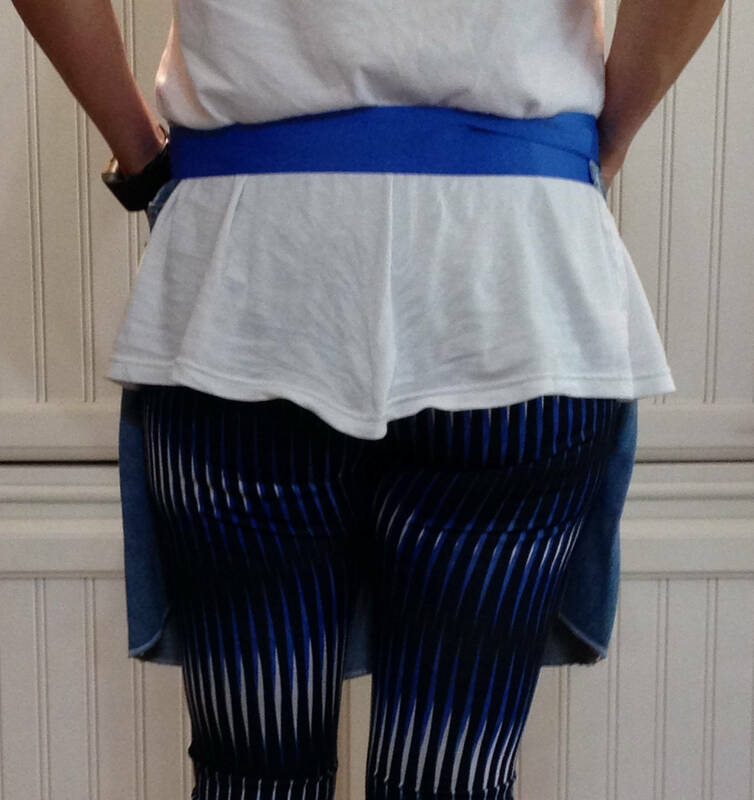 The blue grosgrain ribbon ties are extra long to be able to thread through the belt loops and tie in a cute bow in front.